The Three Treasures team of licensed massage therapists allow you to choose a therapist and practitioner style that is right for you on Maui. Our team members are trained in different massage modalities including Lomi Lomi, Lomi Lomi Pohaku, Shiatsu, Barefoot Shiatsu, Thai and Water Touch. We are located in Haiku, Maui. Call us for special requests. Ricardo studied various types of alternative medicine after 2 years of western medical school in Argentina. Eventually, he received a Bachelor of Science in Ecology and Biology. In 1983, Ricardo became a researcher in a university, but after years of western medicine and the world of academics, he recognized that it was removed from his passionate vision for the holistic healing arts. Ricardo then went on a sabbatical retreat in Alaska. “Down to Earth”, finally! The realness of life in the wild brought Ricardo into a new journey, of inner and outer ecology, through meditation and communion with nature. Life became the teacher, guiding him back to his original vision. Since 1987, he has been studying Chinese medicine in India, Japan and China, graduating as an acupuncturist and herbalist in Hawaii. Ricardo and Chinta have also completed a post graduate course in Chinese gynecology. Eventually, he received a Bachelor of Science in Ecology and Biology. 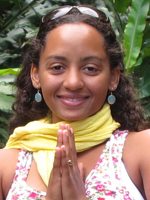 Chinta started as a Sports, Gymnastics and Yoga Teacher. In 1987, Chinta went to India to study meditation and through inner exploration she experienced a deeper understanding of the relationship between body, mind and spirit. She went on to study various types of alternative medicine. She studied Shiatsu and Chinese medical theory and became a certified Massage therapist. In Germany, she opened a clinic with Ricardo, offering shiatsu, yoga and meditation. 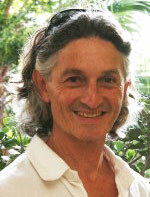 They went to Japan and China to further their education in shiatsu and acupuncture and then came to Maui in 1996. She completed a 4 year course in 2004, with the East-West Herbology School in Santa Cruz and is a certified East-West Herbalist. Chinta studied personally with Michael Tierra and Leslie Tierra. Chinta offers Herbal Consultations at Three Treasures Clinic. She is also available to teach massage courses to massage students, licensed massage therapists and spa therapists. Chinta’s Barefoot Shiatsu Massage Course has been well received by the Grand Wailea, The Four Seasons, The Hyatt and the Hana Hotel. Priya Forster has been practicing massage since 1999. She completed her massage training in the Maui Therapeutic School of Massage, but it is said she was introduced to the healing arts at birth. Her family provides a foundation for a lifestyle of massage and alternative medicine. Priya has been receiving continuous bodywork throughout her life, which has helped her tremendously in knowing what feels good and brings forth healing. Priya studied various types of alternative medicine and has taken extensive training in: Orthopedic Sports Massage, Lomi Lomi, Shiatsu, Back Walk, Tai Massage, Hot Stone Massage and Deep tissue Work. Her quality is her strength and her nurturing warm touch. People walk out feeling completely nourished and satisfied to the core of their being. Priya loves to play with different types of techniques and tools such as heated towels and rocks and uses aromatic scents in her massage sessions. She feels that her greatest teacher was and still is her mother Chinta, who she continues to love working with. Naïma’s journey in the healing field began at a young age. While growing up, her spirit was infused with various esoteric and healing teachings alive in her family. In 2009 after attending business school, Naïma left her corporate career visions behind and became a licensed massage therapist, to help those on their healing journey. A few years later she became a certified Yoga teacher, and a Holistic Health and Spiritual coach. Naïma has studied many modalities: Lomi-Lomi, Hot Stone, Swedish, DeepTissue, Sport, Zen Shiatsu, Barefoot Shiatsu, Acupressure, Reflexology and more. Some of her other areas of study include Aromatherapy, Herbal medicine, Nutrition and Energy Healing. She is continuously exploring the physical and energetic dynamic of life. Naïma’s touch is nurturing and highly intuitive; meeting client’s need for soft or strong and deep massages. Her tools and techniques are known to be luxurious, profound and deeply rejuvenating. She is passionate about assisting people on a multi-dimensional level, holding space for clients to heal through every layer of their being. 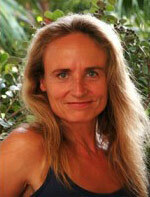 Danae has been studying core and cellular transformative healing for the past five years. She began to integrate this practice with body work as it evolved into a very effective way to clear, rebalance, and heal on multiple levels. This work focuses on releasing old patterns, conditioning, and mind sets that are held within the body’s physiology. By working on this deep cellular level, with intention, old energy is cleared and the body can reopen to new possibilities. 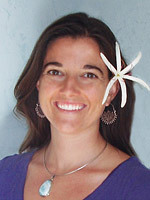 Danae studied and completed massage training at Maui School of Therapeutic Massage. She now offers Lomi Lomi, Swedish, Deep Tissue, and Cranial Sacral Therapy. She incorporates her technique with Core & Cellular Transformative Work by following guidance, intuition, and client needs. She works from a respectful, loving awareness that each individual is unique. Danae’s focus is to listen deeply to where each person is within the mind, body, and soul. Each session is an experience guided by the client and energies that work with them to bring balance and harmony. Danae allows this channel of energy to guide and direct each session with the intention to clear anything blocking or restricting the flow of energy. She has a strong passion to assist and be a witness to as many people as possible. Her nurturing devotion to each person is a calling, a blessing, and a gift. Astrid studied Classical Chinese Medicine at the National College of Natural Medicine where she earned a Masters of Science in Oriental Medicine. She has her Hawaii Acupuncture license and is nationally certified as a diplomat of Oriental Medicine through NCCAOM (National Certification Commission of Acupuncture and Oriental Medicine). Her studies included acupuncture, herbs, tuina, shiatsu, reiki, visceral manipulation as well as Taiji and Qigong. Astrid focuses on the body as a whole, her intention is to help restore harmony and balance in the body through the use of acupuncture, herbs and massage as well as providing a safe healing environment where patients can connect with their true self. Astrid’s training included working with pain management, immune compromised patients, adjunct cancer therapy, musculoskeletal problems, women’s health, and health maintenance. Each treatment is specifically customized to fit the client’s needs. Jivatma was introduced to massage, the healing arts, yoga and body centered practices at a very young age by her mother and her surrounding community. At the age of 19 she took her first training in Ayurvedic massage and started offering her services within Auroville. 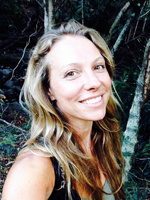 In 2007, life guided her to Hawaii where she graduated from the Maui School of Therapeutic Massage and had the privilege of studying with many highly qualified teachers. 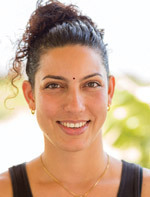 Jivatma has had extensive training in various modalities including deep tissue, sports massage, lomi lomi and what she calls “foot-based bodywork” which includes training in techniques such as Ashiatsu and Chavutti Thirumal. Foot-based bodywork is Jivatma’s specialty and her favorite expression of her work. Jivatma’s expertise and her loving, healing energy, shine forth beautifully as thousands get off her table feeling renewed, relaxed and deeply transformed by her work. Massage is both her job and her spiritual practice, which remains to this day, her greatest joy. Daniella offers a transformative experience of deep tissue Lomi Lomi massage. Stemming from 7 different lineages, her blended style of Lomi includes hot stones, body mobilization, myofascial release, long forearm strokes, and advanced techniques to focus on specific areas of concern while improving overall circulation and embodiment. Her style is highly intuitive and eases into deep pressure gracefully. With dance-like movement, each healing session is stylistically infused with a flowing rhythm, fed by her innate musicality and origins in folk-dance traditions. She begins each session with Hawaiian Oli (chants) and wields her voice for grounding and re-centering of the mind body spirit. She finishes with an energetic balancing of the chakras by drawing up energy from the earth to help you leave the table feeling energized as well as relaxed. Daniella is a nurturing and compassionate therapist who is dedicated to the well-being of her clients. She is a huge proponent of self-care practice and won’t hesitate to share with you her favorite health tips and exercises for better alignment and functionality. 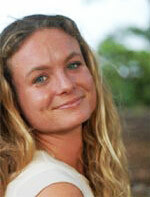 She studied at the Maui School of Therapeutic Massage with some of the most gifted body workers of our generation. She is currently deepening her Lomi Lomi studies with Jeana Iwalani Naluai; carrying forth this ancient healing art with the greatest honor.